It can play age-appropriate music, answer questions and read books. Amazon has unveiled the Echo Dot Kids Edition with a custom version of Alexa that will read to kids, play music, answer questions and do other chores. 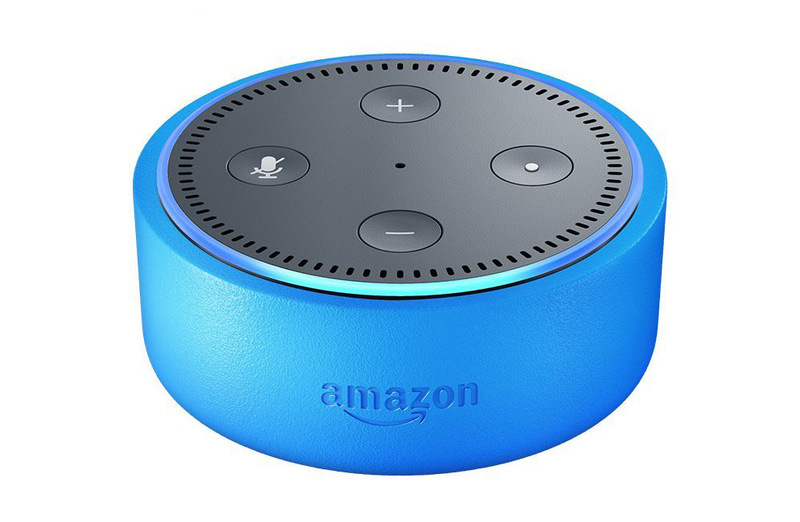 It uses a new flavor of its FreeTime app called FreeTime for Alexa that includes parent controls and family-friendly features that run on the Echo, Echo Dot or Echo Plus. It will give kids a different experience than adults; for instance, when they say "please," it will reply "thanks for asking so nicely" to reinforce their politeness. FreeTime for Alexa (available in free or subscription versions) will also answer questions differently. The regular version will merely reply "eight" if you ask how many planets are in the solar system, but the kids version will name each planet and explain why Pluto is no longer in the club. The kid-friendly voice assistant will also allow parents to set time limits, pause Echo devices for homework, limit skills with parental controls, block explicit songs and use the Echo as an intercom. Kids won't be able to shop with their voice or place phone calls, nor link with apps like Uber and Spotify. They can, however, listen to family stations on iHeart Radio. FreeTime Unlimited on Alexa also lets kids access to 300 Audible children's books, set alarm clocks with SpongeBob Squarepants characters, and access premium Alexa skills like Disney Stories, Nickleodeon's No Way That's True and National Geographic's This or That. All of this sounds fun, but it raises questions around children's privacy, a hot-button issue at the moment thanks to Facebook, YouTube and other data-collecting apps. Amazon told CNBC that it won't gather individual data, but information will still go to Amazon since Alexa is a cloud-based service. Despite those reassurances, a voice service aimed at children might rub many parents the wrong way, as it represents a fairly brazen way for Amazon to get children hooked on its service. Given the ease-of-use factor for kids compared to, say, Siri or Google Assistant, it gives Amazon and edge in turning children into future customers. The Echo Dot Kids Edition comes in bright primary colors (red, green and blue) and costs $80. To get many of the kid-friendly services, however, you'll have to subscribe to FreeTime Unlimited for $2.99 a month (for Prime customers). The hardware and the service will both start shipping on May 9th, 2018. Update: The article originally said that FreeTime for Alexa will run on any Echo device, but it will only work on the Echo, Echo Dot or Echo Plus. It has been updated with the correct information.